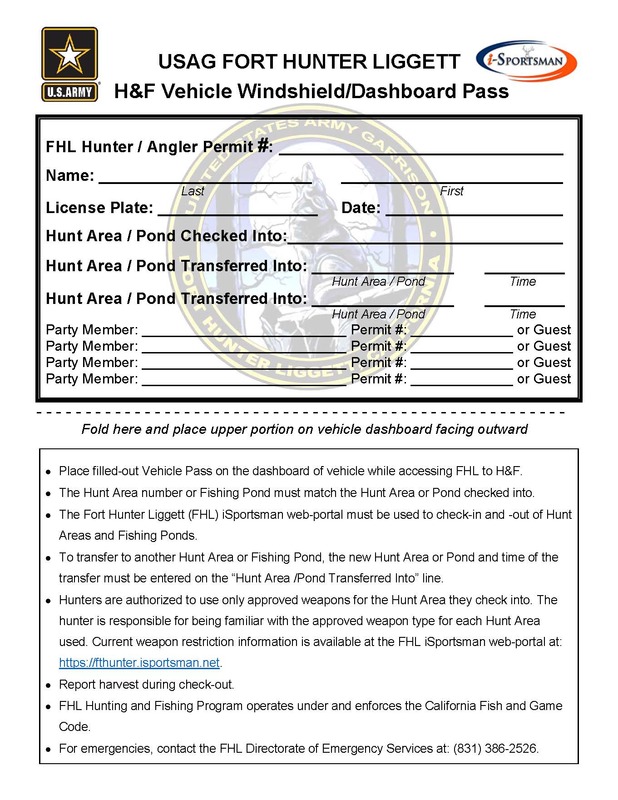 ​Select the "FHL Hunter / Angler Vehicle Pass" button below to download the form (pdf). Print and fill-out form. Place on dashboard of vehicle while hunting or fishing on FHL.